The Commons in Latin America: Struggles, Policies and Research is a two day conference taking place in December 12th and 13th 2017 in Amsterdam. The following information is extracted from the conference website. Commons is a concept in construction broadly defined as tangible and intangible resources shared by a group of individuals shaping patterns of access, use and reproduction. This analytical concept emerged as an alternative to the fixed public-private divide that masks other forms of appropriation and governance models. It has evolved from a narrow contextual focus on social dilemmas in social-ecological systems into an integrative analytical perspective to address social change at large. The incorporation of cultural and political resources allows for an analysis of social processes not only around traditional ‘commons’ (natural resources such as water, forest, fish, land, ocean, air) but also relating to the what are known as new commons (e.g., knowledge, memories, identities, urban public spaces, digital spaces, collective practices). The commons perspective has become a vibrant interdisciplinary field to articulate theoretical questions usually polarized by domains that may be geographic (e.g., rural and urban commons), scalar (e.g., local to global commons), institutional (e.g., formal and informal commons) and tangible (e.g., material and immaterial commons). Click here for our position paper. 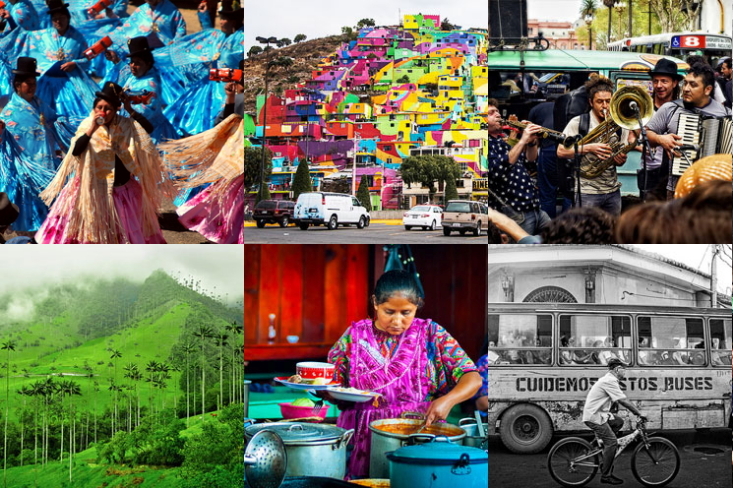 This co-lab aims at unpacking plural perspectives of the commons in Latin America and exploring ways to create a dialogue across different fields. Students from different disciplines, practitioners, activists and policy makers will debate on the commons in the region. There will be plenty of room for discussion and knowledge exchange. Commons and ‘rights’ of common have always been contested, but in the years following publication of Hardin’s paper on the ‘tragedy’ of the commons the notion that some form of sharing of resources was not only possible but desirable, both socially and economically, came under sustained attack. Ostrom’s work over several decades has demonstrated the fallacy of some of the neo-liberal arguments, and created the space to explore alternatives to the privatisation-statist approaches to resource governance. More recent developments have seen the rise of ‘new’ commons as the concept is applied to a wider range of resources, and of ‘commoning’, the result of new ways of thinking about the nature of the social processes that generate shared services and resources. In many situations the reality of governing commons and commoning is often different from the idealism and conceptual frameworks that drive activities in this arena. Separating the reality from the rhetoric is an important function for an international organisation involved in analysing the concept of commons, and an area where the Latin American experience has a lot to offer. This presentation will explore the wider context of commons governance, with the aim of opening the doors between regions to enable the cross-fertilisation of ideas, and to encourage wider learning from the struggles, scholarship, research, and practice currently happening across Latin America.